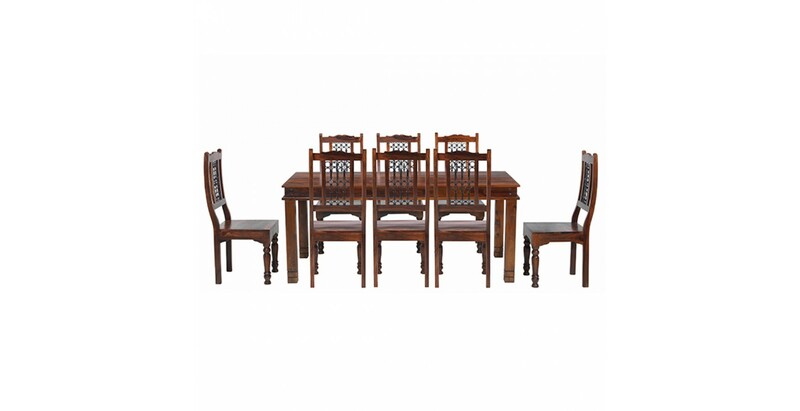 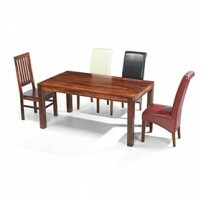 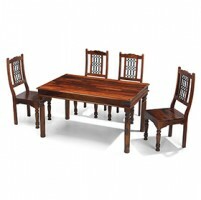 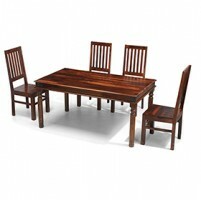 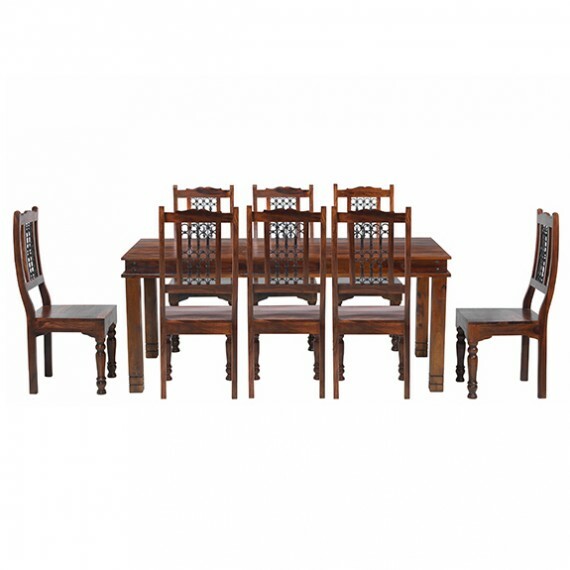 Indian craftsmen have made this stunning dining table from sheesham wood in a design that harks back to colonial times. 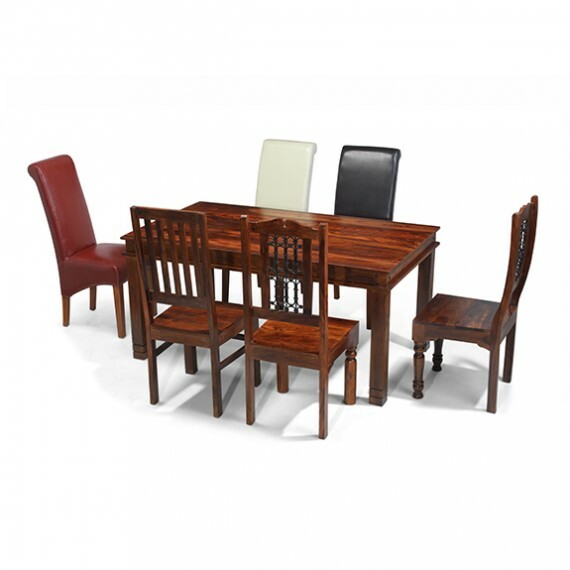 Finished with a wax lacquer that gives its variable dark tones and attractive grain patterns a chance to shine, touches like the iron studding and routed detailing on the square legs add visual appeal. 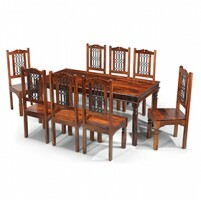 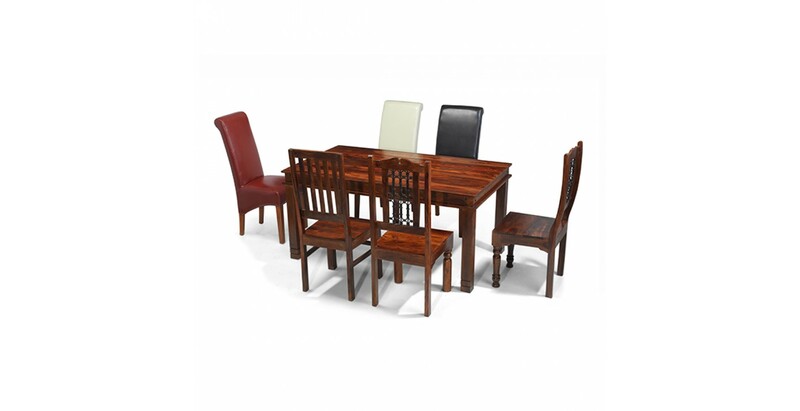 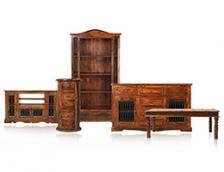 Large enough for those who like to entertain, it's supplied with eight chairs to set it off in style. 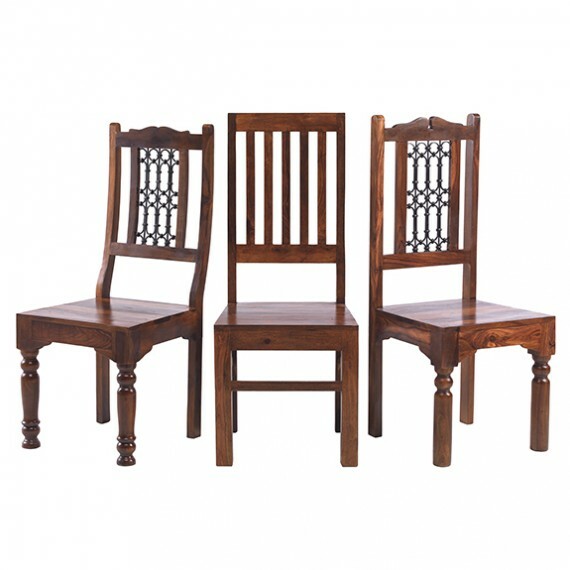 And you get to choose from six designs which will best suit your home. 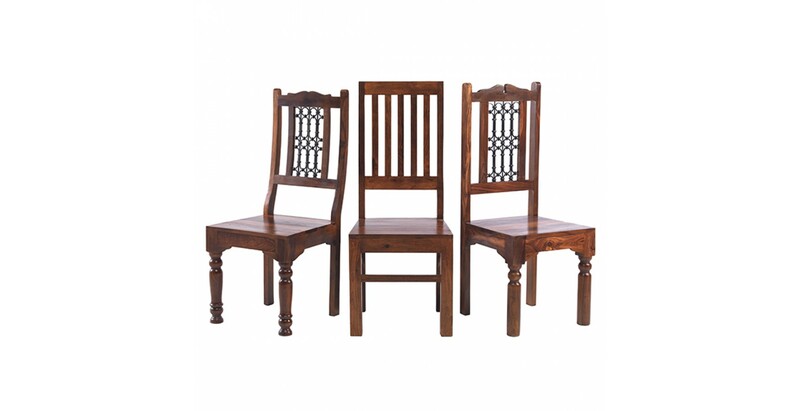 Team it with our simple but elegant Jali High Back Slat chairs, or go bit more ornate with either our Jali High Back or Jali Low Back Ironwork chairs to keep the theme traditional. 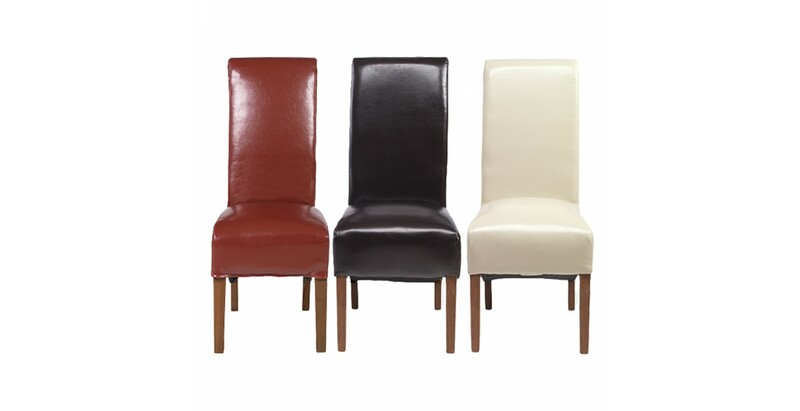 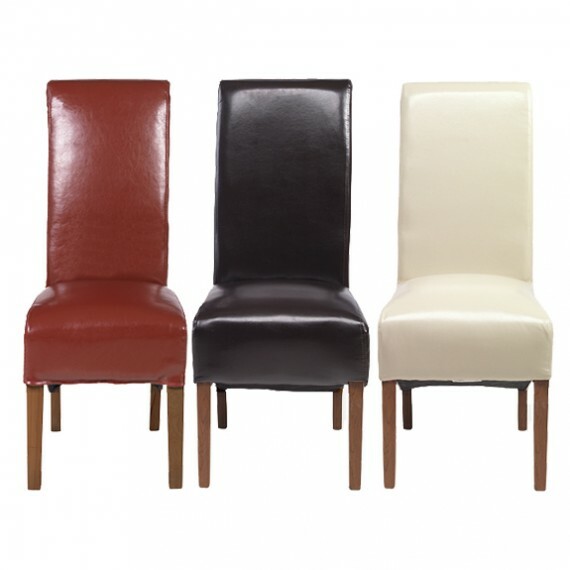 Or for a bit of modern comfort and luxury, you could go for a set of bonded leather chairs in warm brown, neutral beige or dramatic red.